Did you know the average dinner from a chain restaurant costs nearly $35 a person and contains more than 1,200 calories? That's hard on your wallet and your waistline, and few people understand this better than the authors of Eat This, Not That! 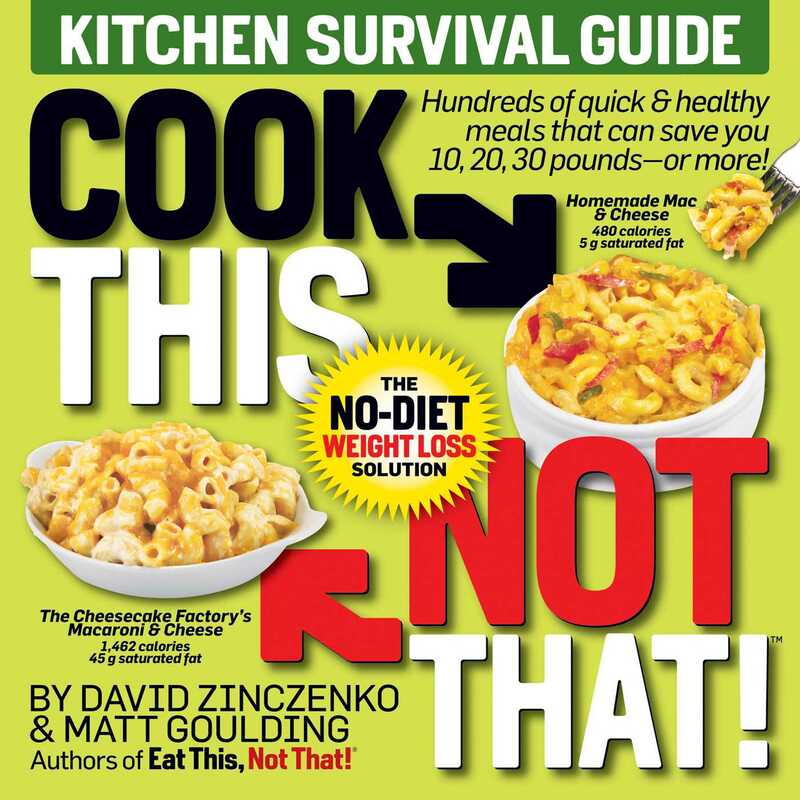 After years of helping consumers navigate America's daunting culinary landscape – and literally thousands of weight-loss success stories – Dave and Matt have finally turned their nutritional savvy to the place with the greatest impact – your kitchen. The hundreds of recipes contained inside this book will help you and your loved ones eliminate body fat, get in shape, and lead fitter, happier lives.